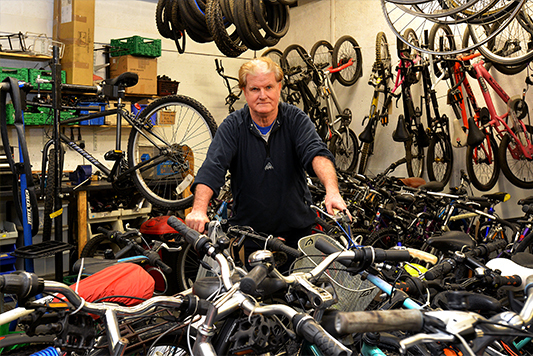 Gearing Up is a social enterprise based at The BrickWorks and we recycle unloved and unwanted bikes. We sell low cost, affordable bikes, promoting healthy lifestyles, travel to work and reduction in congestion. We also support and train people into employment, learning new practical skills. At our local workshop we provide all these services alongside a friendly café and meeting facilities. Working with communities and local groups we promote cycling through access to bikes, and development of skills and confidence. In partnership with public services and other organisations we promote cycling and alternative forms of transport for health, leisure and work. Gearing Up relies on public support to help develop this work, so any donations of bikes would be gratefully received.